WE ARE BIG IN MEXICO. IMF brings its technology to Mexico for the starting-up of one of the largest aluminum wheel painting plants in the world. 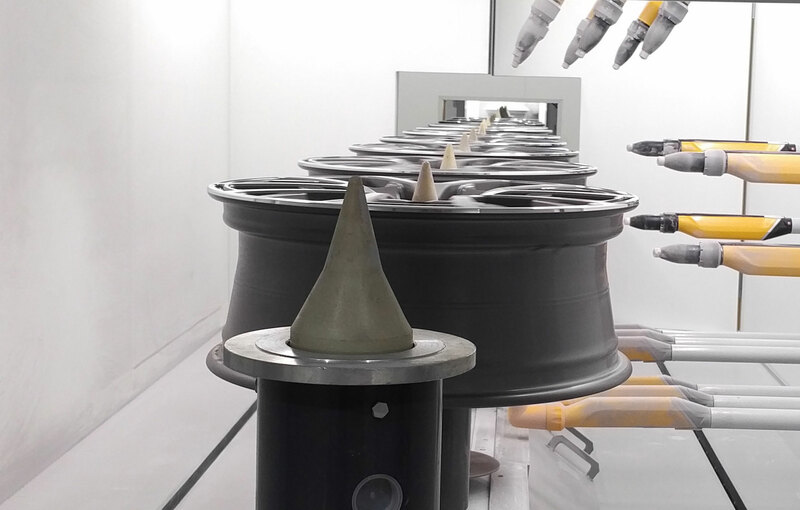 A modern paint shop of 10,000 square meters capable, thanks to our machines, to produce over 3 million wheels per year. Lots of space dedicated to productivity, but also to all clients customization needs, with a fully automatic system capable of managing more than 9 painting processes, to easily adapt to every request. A new success by IMF Engineering.